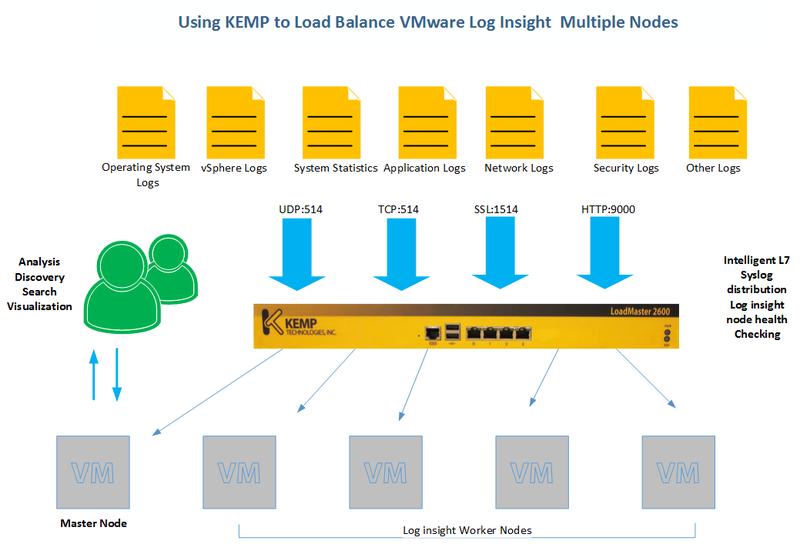 This article will show you how to configure a KEMP Load Master for VMware Log Insight. Log Insight supports receipt and ingestion of Syslog messages that are sent over UDP, TCP, TCP with SSL Encryption and API. The Load Master provides Log Insight-aware Services to optimise high availability and scalability of Log Insight deployments. One Concern that KEMP has addressed, is when Syslog Messages are sent using methods other than UDP. Clients will often open long-lived connections that are then used for large amounts of messages. The issue is that traffic is not distributed on a close-to-even fashion across the cluster of available nodes. The Load Master provides a solution to this problem and allows messages to be parsed with a connection to allow a more even distribution across servers in a cluster, as well as simplified scalability of log Insight environments. I have provided a logical diagram showing how the solution works. Import the OVF or (VMDK & VMX) into your VMware Infrastructure. Under the Installed Addon Packages, you can browse the Addon file, once selected, click Install Addon Package. You will now see the Addon Package for Log Insight (Log_Insight). Ensure that you obtain the same Addon version as your Firmware Version. For Example if you have a Firmware Version 7.1-20a, you will need a Addon Version of 7.1-20a. You will need to reboot the Load Master once the install is complete for the Addon to become active. KEMP have simplyfyed the Deployment of Log Insight by create Templates that can be imported into the Load Master. Once imported you will see the Templates for all four Log Insight Virtual Services. The Log Insight Split Interval Value Controls how many Syslog messages should be sent to each server in the cluster before moving to the next server. If you set the Split interval to 1, then it would allow a single message to be sent Server A before sending a message to Server B , then C, then again back to Server A. A TCP Syslog Virtual Service Must be create if clients will send syslog messages to Log insight TCP. Enter the Shared Virtual Service and Select the Template Log Insight TCP, This will then Populate all the required fields. It is recommended that you use Round Robin as the Scheduling Method as Round Robin is typically best to accomplish even traffic distribution. Avoid using Least Connection as the Scheduling Method as the Log Insight Split Interval will not behave as expected. Then add the Real Servers. A UDP Syslog Virtual Service Must be create if clients will send syslog messages to Log insight UDP. Ensure that Force L7 (Layer 7) is selected and Ensure that transparency Check Box is Selected. Transparency allows the client’s IP address to be presented to the Log Insight Servers. 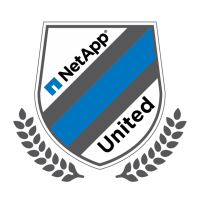 Depending on your Network Topology, Transparency may not be supported. You can disable this option and set the persistence to Source IP if it is not supported. It is recommended that you set the Idle Connection Timeout value to 1 as it has been tested and shows the best performance for Log Insight’s UDP Service. Add all the real Servers. Once Complete, you will see the Virtual Service showing as up. A SSL Syslog Virtual Service Must be create if clients will send syslog messages to Log insight SSL. 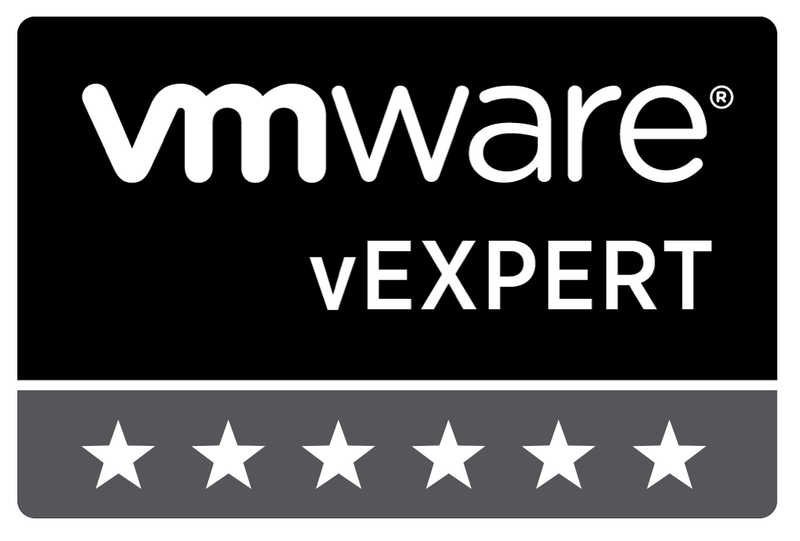 Assign the Certificate to the Virtual Service. Ensure that the Real Servers are configured with the port 514. “if HTTP POST requests” are used to programmatically send log information to the Log Insight cluster. A “Log Split” Content rule is required and an accompanying Virtual Service Must be created. Content rules interrogate incoming client connections and make decisions as well as header modification based on the contents of the requests. We need to create this rule to ensure even distribution of messages across the cluster of Log Insight nodes when the API Ingest Service is Utilised. A “Log Split” content rule is required to minimise “Lumpiness” (as KEMP Call it) to accomplish a more even distribution of messages that are posted. The Log Insight template has the content rule configured, you can check the configuration by selecting modify. Add the IP for the Virtual Server and select the Template for Log Insight API. Transparency Should be Selected. If not Supported, remember to select Source IP as the selected persistence. There you have it. The Load Master configured for VMware Log Insight.